Did you love our flyer for the new Mary Kay ® summer 2017 product line? Great, our talented designers are not stopping there. 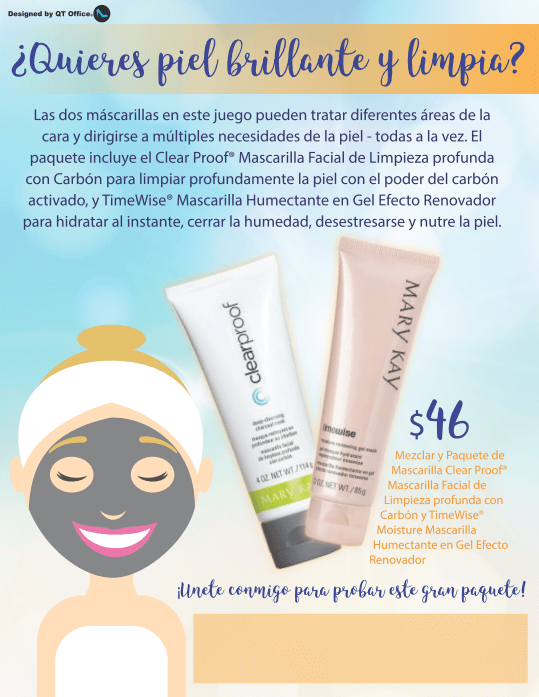 They have also created a flyer featuring one of the hottest trends in beauty “multi masking”. 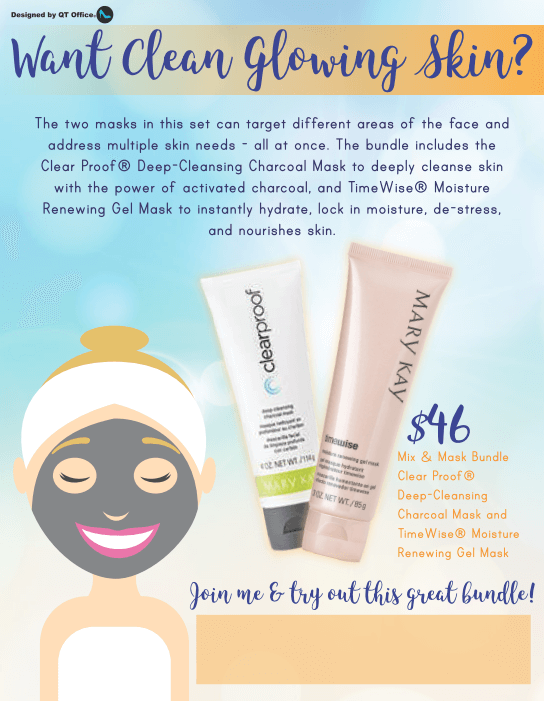 On this flyer we featured the Clear Proof® Deep-Cleansing Charcoal Mask to deeply cleanse the skin with the power of activated charcoal and TimeWise® Moisture Renewing Gel Mask to instantly hydrate, lock in moisture, de-stress and nourishes skin. As always this flyer has been automatically added to the auto page of our Unit/Area Websites, keeping your unit and/area fresh with new ideas for their business. Do you have a need for Spanish training material in your unit or area? QT Office offers a Spanish training center, seasonal selling, career opportunity and a new consultant page for no additional cost when you have a unit/area website with us.